Susan Marsh was appalled. A fifteen year old girl living in an orphan asylum in St Louis had to hand over her wages to her father, to support his drinking habit. Because of antiquated sole guardianship laws still on the books in Missouri in 1912, any wages that a child made were legally her father’s. In this case the child’s mother was deceased, but it wouldn’t have mattered. Mothers had no legal right to protect their child’s wages, or even to have custody of their children.This inequality infuriated Susan Marsh, so she decided to change it. Changing a law was complicated for her, though. In 1912 women weren’t a part of the political process in Missouri. They couldn’t vote or hold office. Changing a law meant convincing men to write, propose, and pass the new bill. 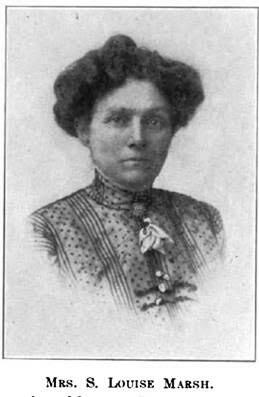 Susan Marsh was a club woman, though, a member of everything from the Daughters of the American Revolution to the Equal Suffrage League. She used her connections to find a lawyer willing to draft the bill and in March of 1913 the Marsh Joint Guardianship Law was presented by state senator and labor lawyer Alroy Phillips. It passed with support of men in the Senate and the House, and was signed into law on March 17, 1913. 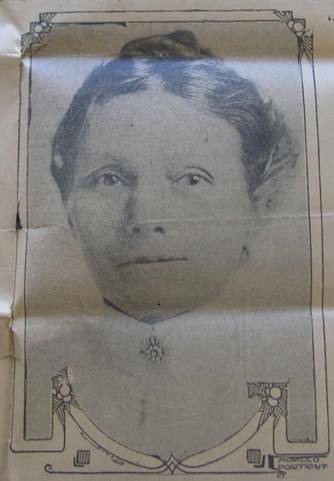 In the St. Louis Star, January 19, 1913, Ms. Marsh is quoted as saying “Is any thinking woman satisfied with having power taken from her in the most vital thing in her life, the protection of her child?” This new bill prevented Missouri men from selling their children as substitutes in military drafts, as some had done during the Civil War. Most importantly, it put mothers and fathers on equal footing when it came to decisions made for their minor children, as well as custody matters. Marsh was not alone in pushing for equality for women. She was part of a growing network of women nationwide who were fighting for equality when it came to matters of raising children, as Elizabeth Cady Stanton writes about in the History of Woman Suffrage. The argument at the time being that if women were to be the moral guardians of the home, and children, they would need equal legal rights with men to accomplish such a task. The Daughters of the American Revolution strongly backed Susan Louise Marsh’s bill. Read an article she wrote about changing the law from a DAR magazine in 1913. She is buried in Bellefontaine Cemetery, Lot number 2406. 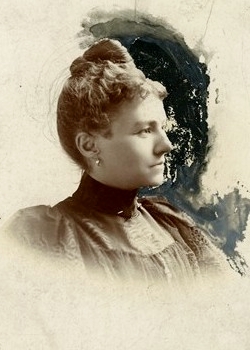 Check out her scrapbooks in the State Historical Society’s collection. Her papers are in the Missouri History Museum collection. She wrote a few books of poetry. One, Young Abe Lincoln, is available online.